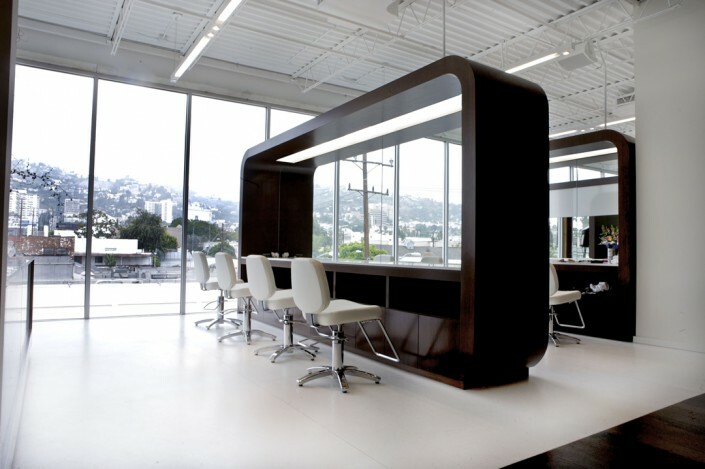 Understated elegance was the design concept when Sally Hershberger opened her salon in West Hollywood. 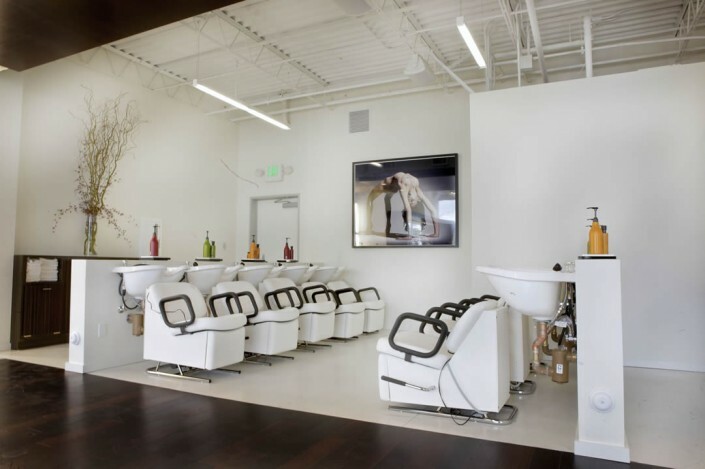 Known for her trendsetting vision and unparalleled skill, Sally Hershberger is one of the most influential and sought-after hairstylists across the globe. 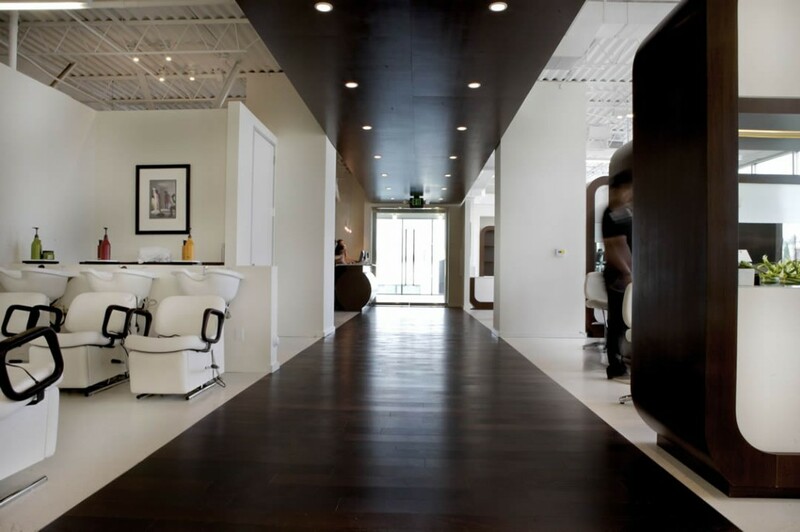 Tellus Design’s solution created an open atmosphere and established a bold contrast of tasteful white and rich wood finishes to highlight the company’s collection of modern art. Curvaceous salon stations provide for privacy and focused work while keeping sights open. At the entrance, a ribbon is formed leading the artists and clients to a collaboration/inspiration wall. 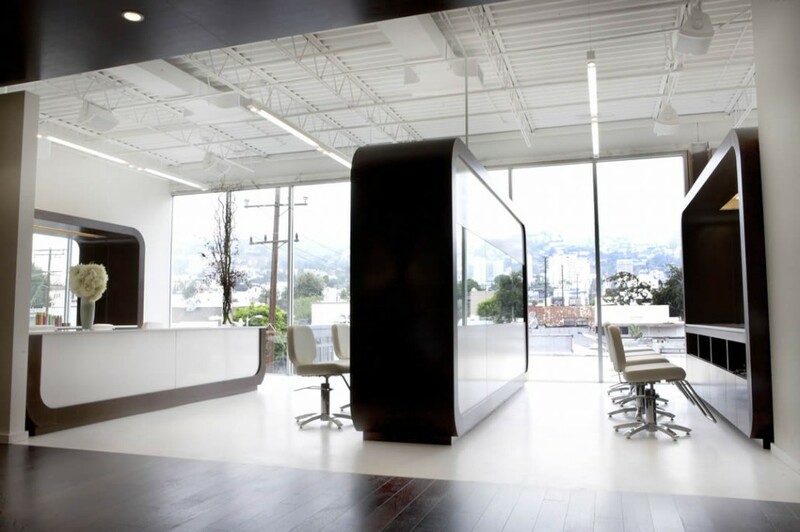 The long horizontal windows fill the space with natural light and showcase a spectacular view. 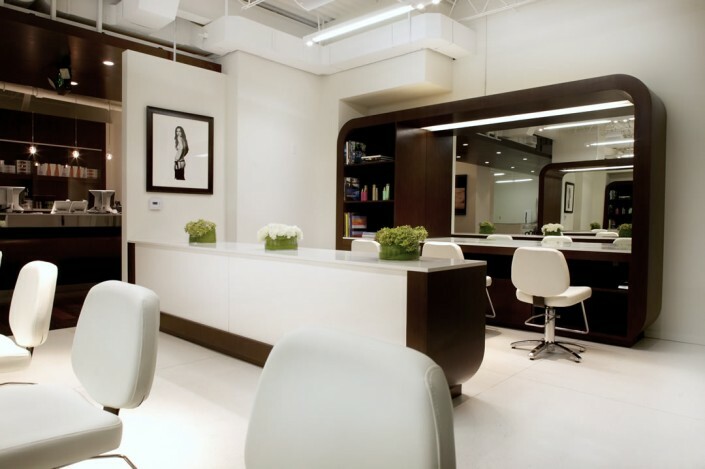 This unique, luxurious design offers clients the ultimate hair-care experience.